Funk & Little Inc. had the privilege to work on a project on Bolton Lake that really gave us an opportunity to shine. The owners had a very strong sense of what they wanted to accomplish and allowed us to help them realize their vision. We had a wonderful compliment of subcontractors who all contributed their unique talents to the project. A few really stood out. The architect, Dan Wright & Associates, designed a structure that was able to meet their space requirements as well as stay within an acceptable budget. One of the important elements to this owner was the fireplace, which had to stand out and express their need for a strong focal point. Thanks to Bishop Masonry we really created a beautiful fireplace. 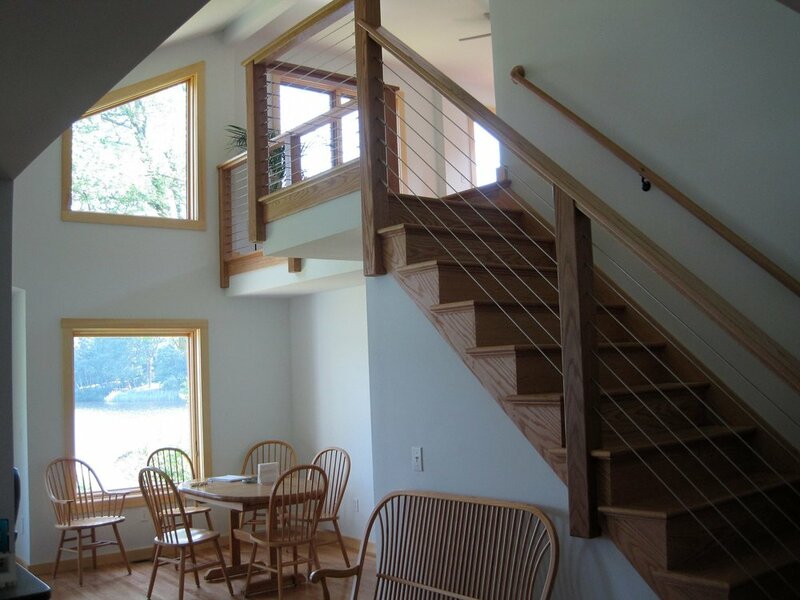 We also had a chance to use our cable rail experience in an indoor application with great results.